Retinal diseases specifically affect the retina, a delicate multilayered nerve tissue that lines the inside of the back of the eye, providing the equivalent of the film for the eye's camera. It is subject to a number of degenerative disease processes, which can affect the macula (area of central vision) or the fovea at the center of the macula. Many retinal diseases share common symptoms and treatments, but each has unique characteristics. As we age, the chance of developing retinal disease increases. 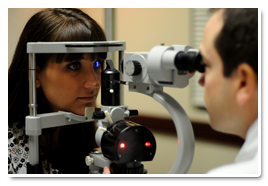 When left untreated, conditions such as age-related macular degeneration, venous occlusive disease and macular holes can impair vision and, ultimately, negatively impact quality of life. Scientific research and the introduction of new surgical techniques and the addition of more effective drugs, have improved visual outcomes for many people. However, continued medical research is critically important for the future of those afflicted with diseases of the retina.